Cooking and eating seafood comes naturally to me when sailing. 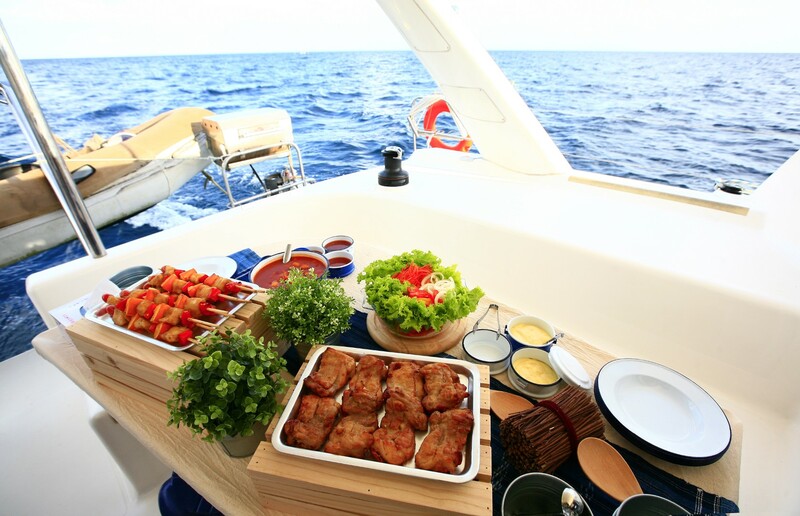 However, people who are not used to eating a lot of seafood sometimes wish to have some meat meal during their sailing trip, but still would like to stick with the traditional recipes of the region they sail. For such occasions I used to prepare meat risotto instead of my favorite risotto, prepared with seafood. Like many Dalmatian and Mediterranean meals start with finely chopped onions on warm olive oil. Simmer the onions until they get translucent and yellowish. Now it is time to add the meat and briefly fry it on the onions. 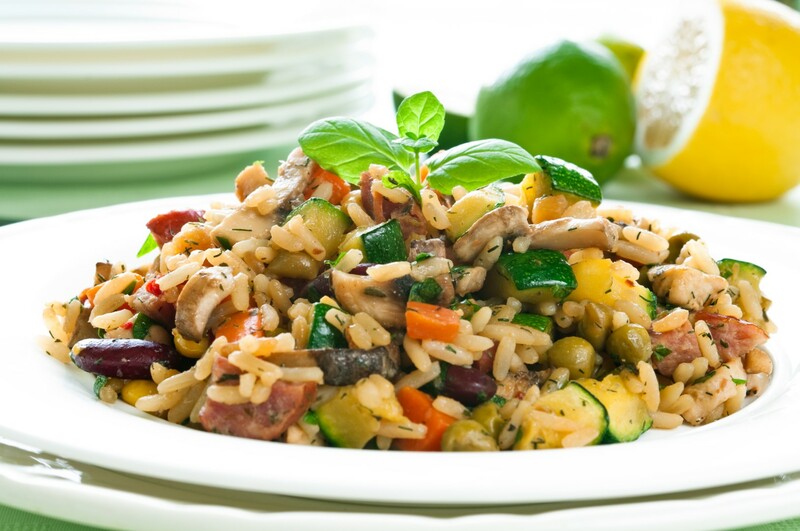 Traditionally this risotto is made with veal or beef meat but chicken would also be fine. If you prepare beef or veal risotto simmer meat cubes some fifteen minutes while chicken is to be simmered shorter. Generally, simmer the meat until it releases its juices and flavor. Add rice and simmer it all together until the rice absorbs the flavors of oil and meat; add salt and pepper, reduce the heat and continue cooking constantly stirring the ingredients. Continue adding beef or chicken broth as you stir the mixture. Risotto is ready to be served when meat and rice are soft and full of tasteful juice. Make sure you don’t overcook it so it does not get too dry. Serve the risotto with some finely chopped parsley on top of it and season it with full-fat grated cheese. 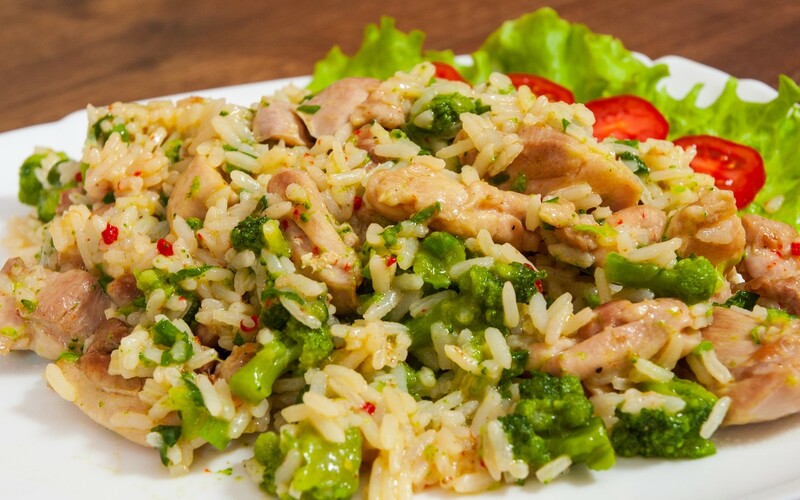 You can get a richer version of chicken risotto if you add some more olive oil and sour cream at the end of cooking. 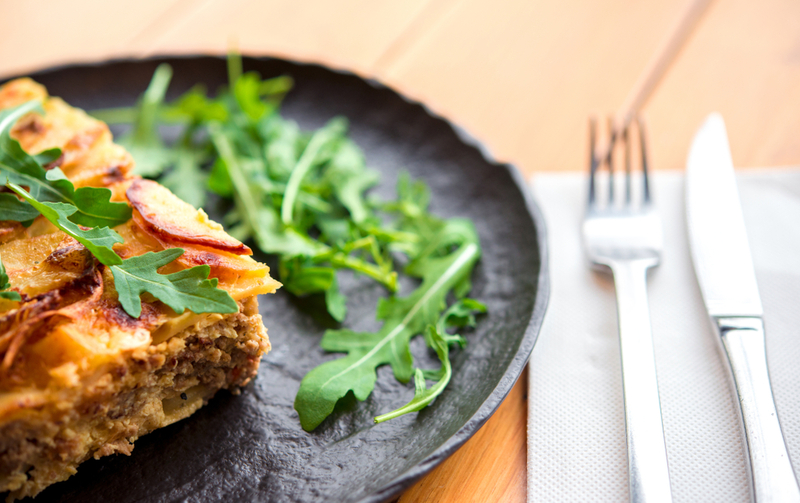 If you want to give a maritime accent to this meal you could also add some pickled cappers. More daring chefs could also prepare beef or veal risotto with some cayenne pepper and just a pinch of cinnamon and one dry bay leaf.